Halifax's Walking the Talk rally was held to highlight the voices of marginalized groups in feminism, in particular people who are transgender, two-spirit, Indigenous, black, women of colour, queer and elders. Partway through Halifax's Women's March at Grand Parade Saturday afternoon, dozens of people cut across the crowd to get to their own rally at Cornwallis Park. The Walking the Talk rally was organized to highlight the voices of marginalized groups in feminism, in particular people who are transgender, two-spirit, Indigenous, black, women of colour, queer and elders. 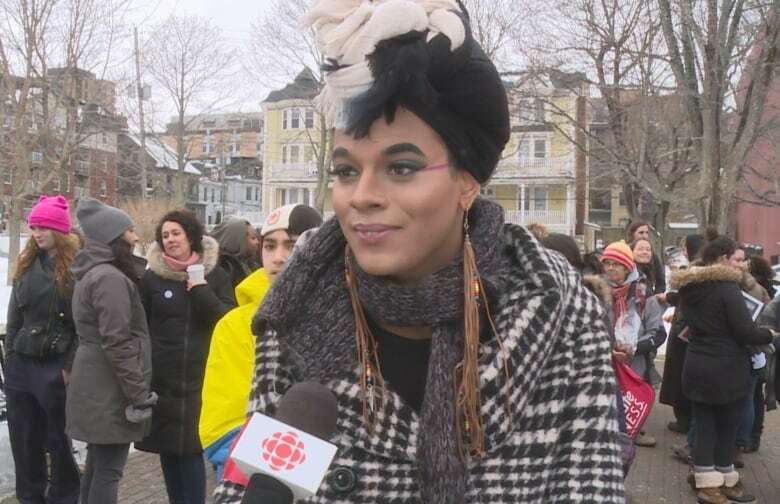 "The reason why we came together was for the purpose of saying this is what an intersectional women's march looks like when it includes everybody," said Jade Byard Peek, a black and Mi'kmaw transgender woman who was one of the organizers of Walking the Talk. "If you look around at the organizers, we have black organizers, we have Muslim organizers, we have Indigenous women, black women, trans women, queer women, two-spirited women, two-spirited folks." Peek said a now-deleted Facebook post she wrote on the Halifax's women's march page that garnered transphobic and racist comments sparked the counter rally. Amina Abawajy helped carry a banner during the rally that read "Walk the Talk Featuring 2SQTBIPOC." Abawajy has spoken out against Islamophobia she's experienced and said she attended the rally to "stand in solidarity with everyone who did not feel included" in the women's march. "The march did not make space or really have meaningful participation from women of colour, from black women, from trans women," said Abawajy, who is also the president of Dalhousie's Student Union. The #MeToo movement — a social media movement popularized in 2017 that involved women sharing their experiences of sexual violence — was a key part of the women's march in 2018. But Abawajy said the movement isn't representing experiences for all women. 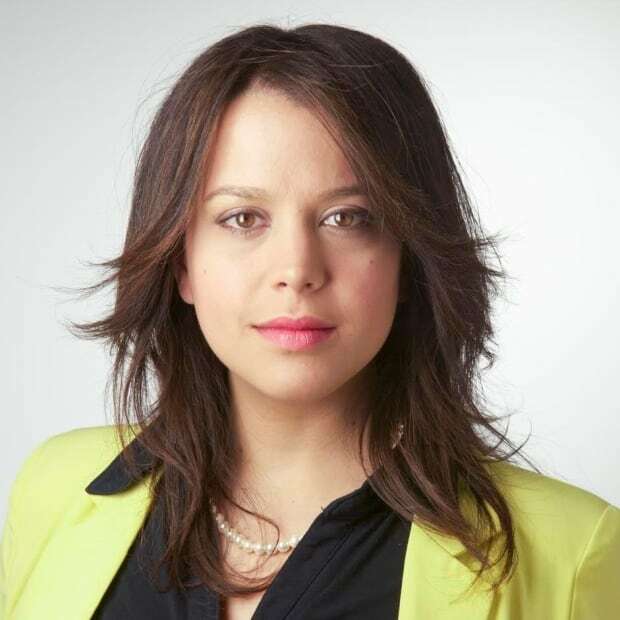 "There's definitely been a lot more awareness around sexualized violence, which is incredible that people are feeling much more comfortable speaking out about these instances," Abawajy said. "But we know that trans women are disproportionately affected, we know that black and Indigenous women are disproportionately affected and so that those stories and those intersections have not been highlighted and that's why we're here." Masuma Khan, the vice president academic and external of Dalhousie University's Student Union, was at the front of the rally holding a megaphone chanting "BIPOC," an acronym that stands for black, Indigenous and people of colour. "This march is made by BIPOC and isn't made to tokenize BIPOC. Just to hear our voice, get folks to cheer at us, clap and forget about all the racism that we go through.This is a march for us, by us," Khan said. Khan said the main women's march in Halifax was "made by essentially mostly white women and it wasn't made for black, Indigenous and people of colour." "It's time we're heard," Khan said.